The City of Los Angeles has released Building L.A.’s Tech Talent Pipeline: A Sector Report on the Information Technology Industry, a report focusing on the state of the tech workforce in the Los Angeles metropolitan area in 2017. With unprecedented access to LinkedIn’s data on LA’s tech firms and tech talent, the report is focused on a number of key questions: What are the most pressing human capital needs for LA-based tech firms? What do they foresee as the long-term needs to ensure a thriving tech ecosystem? What innovations will drive the growth of middle-skills jobs? What tech occupations provide underrepresented youth with access to careers in tech? And how can business leaders and the public sector collaborate to connect tech firms to local talent? Given the scope of the questions, it was necessary to approach the task with a multi-faceted research agenda. 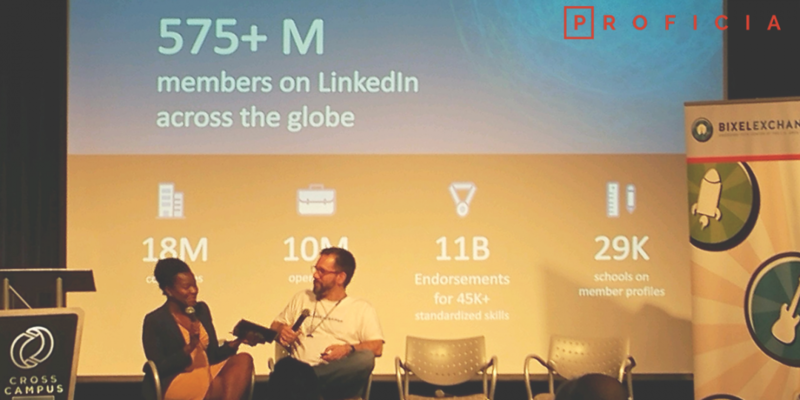 Data scientists at LinkedIn worked with Bixel Exchange to generate insights into LA’s tech companies as well as the regional labor market. These were then compared to public data sources, including the Bureau of Labor Statistics and the US Census. With a robust understanding of LA’s tech ecosystem, comparisons were generated with other major tech hubs, including Silicon Valley, Austin, Boston, Chicago, New York City, and Seattle. Concurrently, qualitative interviews with HR reps at tech companies, IT directors, diversity and inclusion leaders, recruiters, and other stakeholders yielded a number of insights into the real-world needs of LA’s tech ecosystem. Recruiters dominate hiring for tech occupations, given the breadth and depth of their familiarity with candidates. Most importantly, the report identifies a need for alignment among the various stakeholders that could lead to incredible opportunities for both LA’s tech firms and LA’s youth. After all, tech firms need a strong workforce to remain competitive, and the closer to home, the more efficient the hiring process. Therefore, with the appropriate education and training programs, there are opportunities for diverse, underrepresented, inner-city youth to enter the tech workforce and activate positive economic change in their communities. Proficia’s research team co-authored the report with LA Chamber of Commerce Bixel Exchange team members Sean Arian, Sergio Rosas, and Lindsey Heisser. Bixel Exchange has been at the forefront of connecting underrepresented tech talent to employers through the LA Tech Talent Pipeline program and facilitating tech job creation through the advising of early-stage tech companies in the Startup LAunch Incubator. Lead researcher Sebastian De Vivo contributed a focus on social innovation strategies that activate economic revitalization across regional ecosystems. He has developed programs that leverage entrepreneurship, design thinking, and other innovative tools to create pathways to prosperity for the traditionally-underserved. His research interests include microenterprise and business assistance, education, and workforce development for underserved youth (18-29). Co-author Jocelyn Graf brought to the project a background in work-based education research, technical understanding of the jobs featured in the report, and experience advising tech-sector startups and training tech career changers. Graf’s company, Proficia, runs workforce training programs to enable people with barriers to employment to access quality tech jobs. Proficia also creates middle- and high-skill tech jobs through a social enterprise doing contract engineering services. Contact Proficia today to access our research, policy- and program-design, and grant writing services.